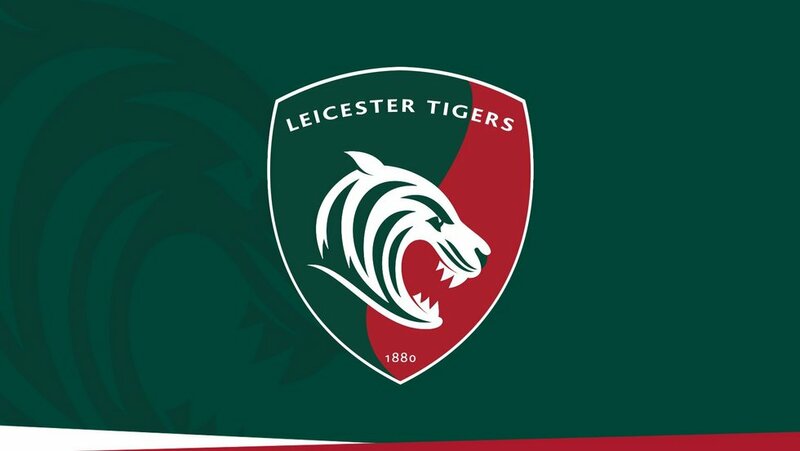 The Leicester Tigers Academy have kicked off the new U18 League season with a 52-point, 14-66 win over Newcastle Falcons Academy at Kingston Park including a hat-trick of tries to wing Joe Browning. It took just 11 minutes for the Tigers side to score the first of their ten tries when Ben Dickinson crossed in wet and wild conditions at the home of the and only three minutes later Browning was over for his first when the winger scored, followed by England U18s tight head prop James Whitcombe who crashed his way over in the 16th minute. Jack Van Poortfliet was the next to cross when the scrum-half dived over in the 20th minute followed soon after by lock Tom Manz who scored in the 27th which was successfully converted by fly-half Harry Glynn who made it five from five attempts in the first half to see the Tigers lead out to 35 points after half an hour, where it would stay until the half time break. It didn't take long for the young Leicester side to add to the lead in the second half with replacement scrum half Sam Edwards scoring only minutes after being injected in to the game from the bench and fellow substitute Sam Costelow added the conversion for his team mate's try. Browning made it a brace soon after when the winger scored in the 49th minute and Costelow successfully converted the try before Glynn scored the Tigers third in the second half from the Falcons re-start less than a minute after the second. The home side scored their first of the afternoon in the 53rd minute before Costelow finished a brilliant solo effort to score the Tigers ninth of the match, which the Wales U18s fly-half converted to extend the lead to 61-7 with just over fifteen minutes remaining in the match. Newcastle would find the line again, for their second and final try of the day, on the hour mark before Browning completed his hat-trick in the final minute of the match which Costelow couldn't convert to see the scoreline finish at 14-66. Highlights of the match will be made available on LTTV next week. Six members of last season's U18 League Grand Final winning side have been named in the matchday squad for their opening fixture of the 2018/19 campaign this Saturday (December 15) in Newcastle. Freddie Steward, Ronnie Du Rant, Alex Maxwell, James Whitcombe and George Martin have all been included in the starting side for the season opener against the Falcons Academy at Kingston Park, with Wales U18 fly-half Sam Costelow among the replacements. 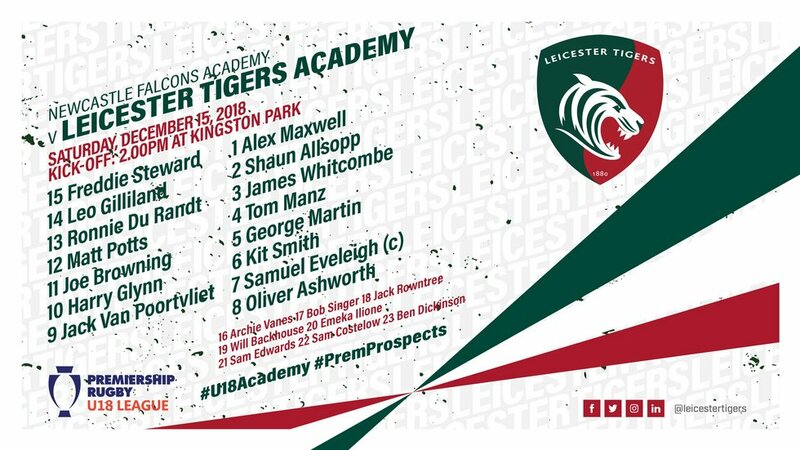 The team will be captained by open-side flanker Samuel Eveleigh in the first game of U18 Academy Leauge season, which last year's Leicester squad went through undefeated on their way to grand final glory over Gloucester at Allianz Park. Supporters can get to know members of this season's Academy Squad in LTTV's exclusive series, Tigers Next Generation by clicking here or visit their Profiles Page online. "There's quite a lot of young guys been added to the group, who have added a lot of energy and enthusiasm to what we do," said Junior Tigers Academy Manager Jamie Taylor. "It was nice to win an academy league last season, but in no way is the main goal of ours. "We're here to develop young players and the measure of success for us is how many are playing out on the Welford Road pitch in a couple of years time."